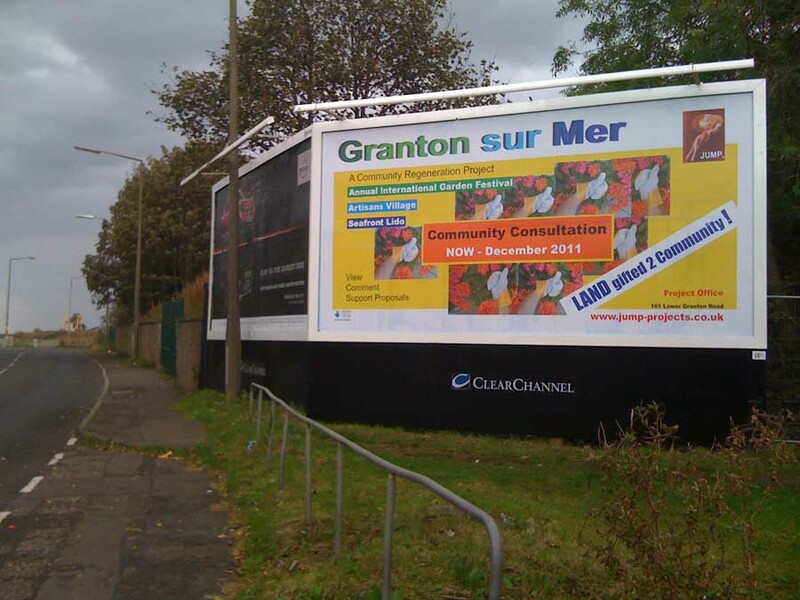 The City of Edinburgh Council are set to sell off the site identified for the Granton sur Mer Community Regeneration project, subject to planning permission, preferring to see a care home provider on the site. Based on business plans and full project information, The National Lottery have awarded the JUMP group with funds to carry out the Community Consultation process for Granton sur Mer, a three part project which proposes to preserve the integrity of a historic walled garden site by establishing an annual art and horticulture festival, an artisan village with affordable workspace and a seafront lido to activate the waterfront, adding to placemaking in a disadvantaged area of the city and where profits will be used to generate more projects for the area. 2. Middle, incl. Madelvic factory: Waterfront Edinburgh Ltd. These complex masterplans and accompanying buildings are explained at GrantonInterview. Developments are recorded in various weeks’ news. 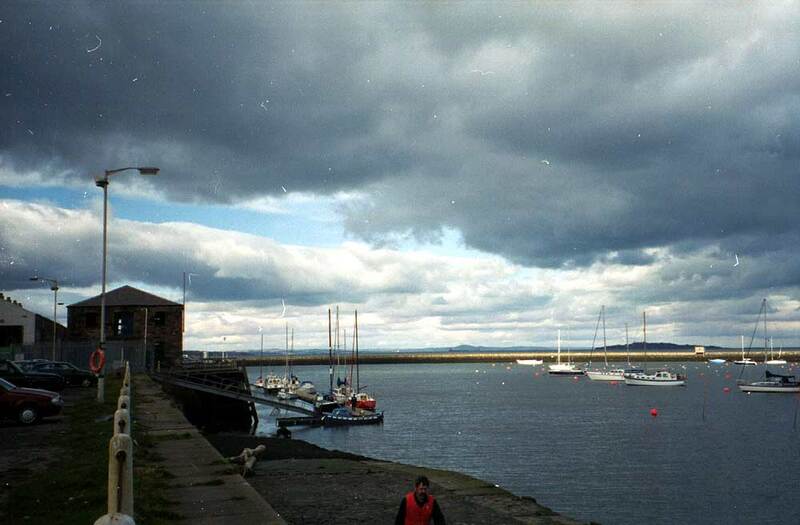 Granton Harbour was begun in 1836 by the 5th Duke of Buccleuch on the estate of his house, Caroline Park. Advised by lighthouse engineer Robert Stevenson, the harbour opened in 1838, with work continuing until 1863, creating breakwaters and further quays. In 1850, the world’s first ferry-train started from Granton to Burntisland, using the paddle-steamer Leviathan. Ramps and platforms were constructed by Sir Thomas Bouch. Granton Harbour provided the prime link to Fife, and beyond, prior to construction of the Forth Rail Bridge around 1890. Passenger and car ferry services continued until when the Forth Road Bridge was started. Granton, like adjacent Newhaven, used to be a base for a large fishing fleet. SecondSite Property own approx 44 ha (109 acres), based on the former Gasworks including the three gasometers. Waterfront Edinburgh Limited, owns much of the land around The Strand & Caroline House, between SecondSite and Forth Ports. Forth Ports PLC, own 39 ha mostly in the harbour area. Forth Ports also own large tracts of land to the East, in Newhaven and Leith, and is the largest Edinburgh landowner of the three. 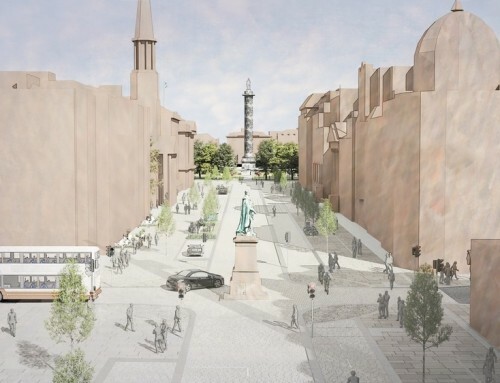 The area encompassed by the Masterplan (originally developed by architect-masterplanners Llewelyn-Davies) is more than 176ha and will involve one of the largest reclamations of brownfield sites ever undertaken in the East of Scotland. EDAW and CZWG were both involved in drawing up early masterplans. Development of the area as a whole is expected to last 15-20 years, during which time some 9000 jobs are due to be created, and 6,500 “affordable” homes built. Education, retail, community, entertainment and leisure facilities will also be accommodated on the site. 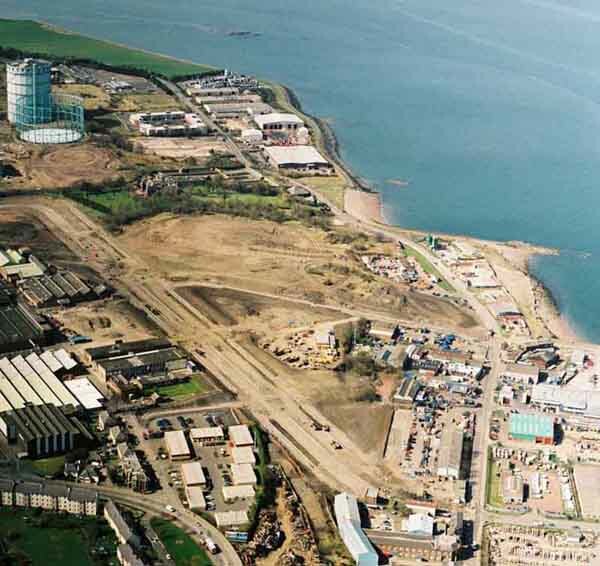 Secondsite has committed more than £20m towards the construction of a new Waterfront access road and to its current programme of site activity at Granton. These involve remedial works to address its historic coal-based gas production legacy, and the planned demolition of its gasholders. SecondSite’s Forth Quarter includes approx. 8ha landscaped public open space, 75,000 sq m of office/business space – including Centrica HQ, hotel & leisure facilities, 2,000 residential dwellings, Telford College, a primary school (competition Autumn 2003 – approx. 90 entries reported), a local centre of 10,500 sq m for retail & mixed commercial use, and inclusion of strategic links for a proposed 10-mile tram route (‘East Loop’) proposed to link Granton and Leith with the city centre. ‘Granton Links Park’ is proposed, public transport interchange facilities and retention of the listed gasworks gatehouse. SSP own the ‘Granton Gas Works’ – a large industrial complex which developed from 1898. 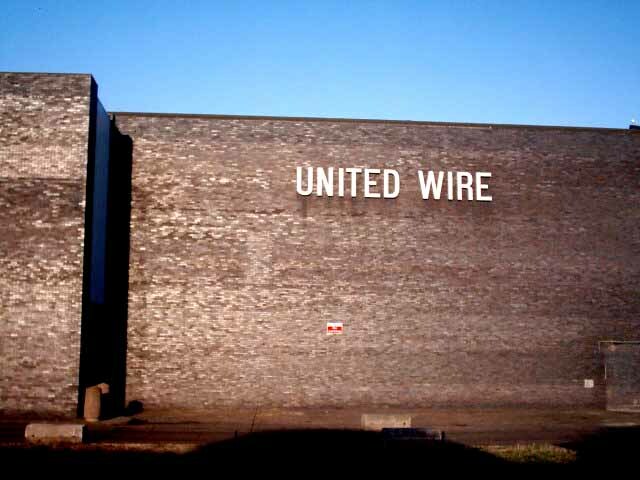 Originally built for the Edinburgh and Leith Corporations, the site passed to the Scottish Gas Board and, following de-nationalisation and break-up, is now operated by Transco, the gas distribution company, with part of the site home to Scottish Gas, the combined utility supplier. The demolition and removal of both 275-feet high gasholders which dominate the Waterfront area will be one of the largest visual changes to Edinburgh’s coastal skyline, but the B-listed gas holder, the low central one and oldest of the three, will remain by Historic Scotland request. The gas towers’ demolition proved to be controversial. 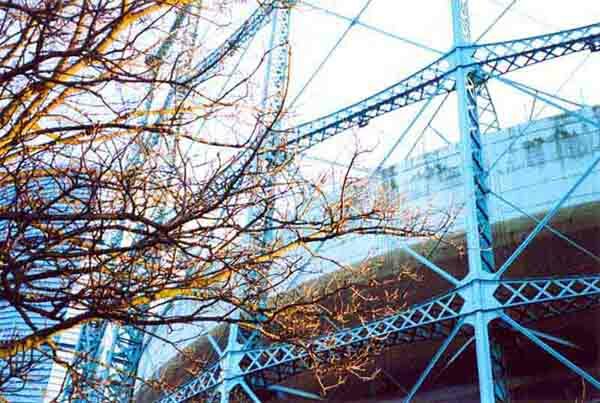 ‘One of Edinburgh’s tallest industrial structures which dominates the city’s coastal skyline is gradually disappearing, in an four-month demolition programme for SecondSite Property, which owns the 110 acre former Granton gasworks site. 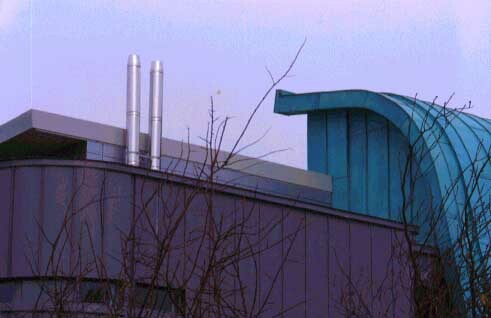 The holder’s removal symbolises the renaissance of the Edinburgh Waterfront area, which has seen recent decisions by both Scottish Gas and Telford College to relocate onto SecondSite’s land – now renamed as the city’s “ForthQuarter” – into new, purpose-designed buildings. The 300-foot high easternmost gasholder is undergoing a progressive dismantling programme by contractors using a 150-tonne crawler crane. The 5,000,000 cubic-feet holder was built by Clayton & Son of Leeds in 1970, but was decommissioned around 1999, and is now surplus to the needs of gas storage providers Transco. The site’s two remaining holders, although decommissioned, remain’. Foster & Partners created a masterplan for 110 acres around the former gasworks and designed Centrica HQ, headquarters for Scottish Gas, topped out Jun 2003. This 93,000 sq.ft, energy-efficient building will be available for planned occupancy in August 2003. One of Scotland’s largest further education colleges plan to relocate to 8.4 acres of SSP’s land. The College proposes to replace its existing four campuses with a single, £30m custom-built four-storey building set to be one of the largest in the Waterfront to date. The largest purpose-built college to be created in Scotland for approximately 30 years, the £60m relocation package has received a £21m grant from the Scottish Further Education Funding Council (SFEFC). A planning application was due to be submitted late in 2003 and the completion is due summer 2005. The house-building giant Miller has bought three sites totalling 26 acres from Telford College, and hope to build about 800 private and affordable residential units. Telford College is building a £60m campus on a ten-acre site at Granton, the largest (30,000 sqm) purpose-built college in Scotland for 30 years on the gasworks site acquired from Second Site Properties. The four-storey building designed by HOK Architects is to be constructed on the site of the former Granton gasworks is due to be complete by summer 2005, catering for around 20,000 students and 600 staff. 2. Middle: Waterfront Edinburgh Ltd.
WEL is a joint venture company established in March 2000 as a partnership between The City of Edinburgh Council and Scottish Enterprise Edinburgh & Lothian. WEL’s ‘vision’ is to “create a place which involves and benefits the existing communities and which attracts investment in a full range of employment uses, housing opportunities, leisure, cultural and community development”. WEL are currently working on ‘Waterfront Phase 1′ also known as The Central Development Area. Page and Park Architects are responsible for masterplanning the 50 acre site (approved Aug 2002) which has been zoned into seven inter-related projects. The key infrastructure which WEL is constructing to act as transport and service corridors and to organise the (re)development. This project also includes an ‘enhancement’ to Caroline Park – in the form of public, open space and a water feature – which proved highly controversial (see further down this page). Site intended for business uses located in the south western corner of the CDA, adjacent to The Walk; 1.8 ha. “Places For People” (consortium comprising a major Scottish property developer, one of the UK’s leading housing groups and an Edinburgh-based housing association) was chosen as the preferred developer for the first 400 dwellings on WEL’s prime 7-acre residential site in Granton. Construction started mid-2003. Architects for the buildings in the image above are Elder & Cannon Architects (Glasgow) for the West blocks, Ushida Findlay Architects (London) for a ‘landmark’ building at the southern edge and Reiach and Hall Architects (Edinburgh) for the Eastern blocks. Second phase residential site of 500 dwellings; 2.2 ha. Site is earmarked for commercial & residential development; 4.7 ha. 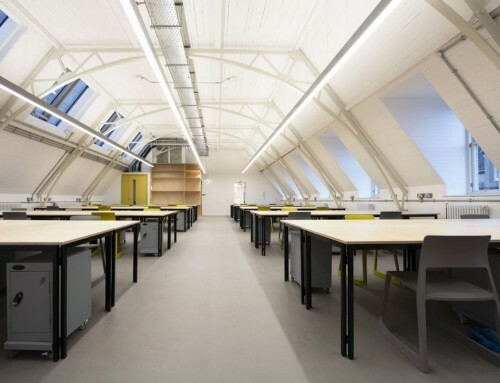 The first consists of refurbishment of the listed factory for managed workspaces and includes WEL Granton offices. The second involves the redevelopment of 4.3 ha. of land. Evans Easyspace were announced in Jul 2003 as preferred developer for this project. 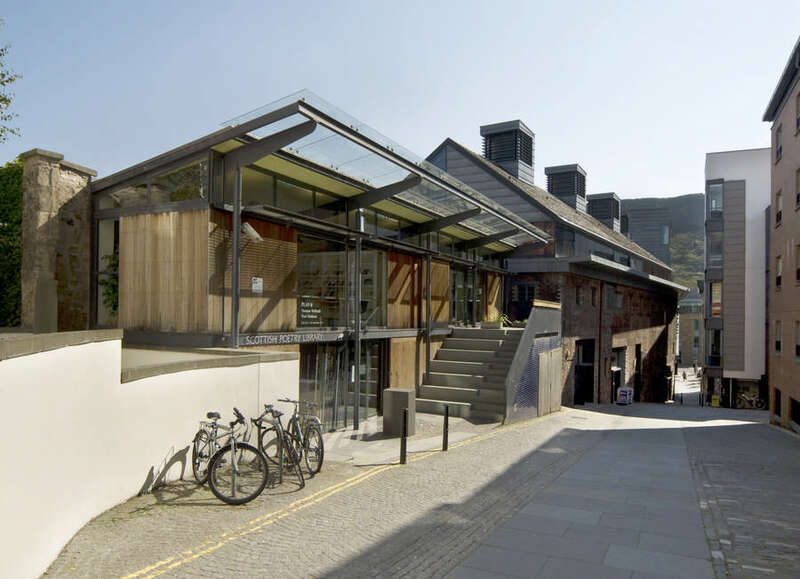 The third project involves a land exchange with the National Museums of Scotland which gives the Museum additional storage for artefacts, and WEL an extension to the Gateway site. In addition to the land-swap referred to above, the Company is working with NMS to re-configure its Granton buildings to allow greater public access, as well as much improved storage, research and workshop facilities. Places and People are involved and are working on designs for a new public access building for the Museum. 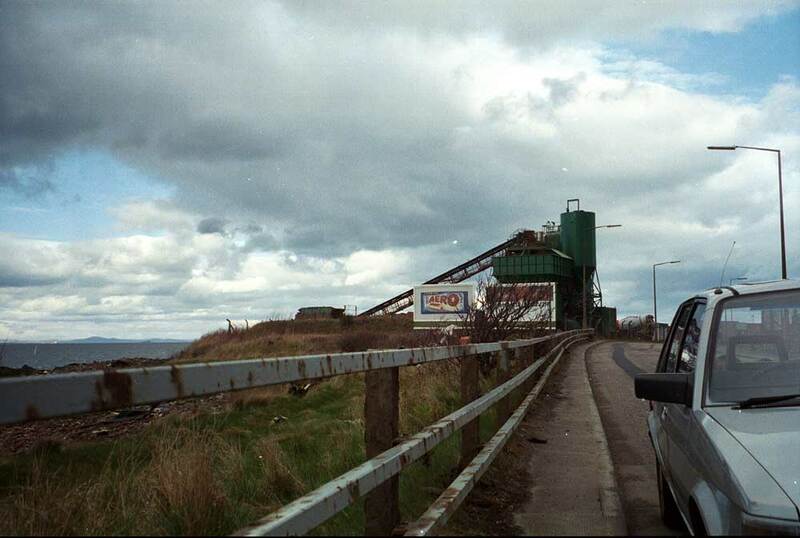 FPP own the ‘Port of Granton’ – their only tidal harbour and a working port. It accommodates FPP’s pilot station. FPP’s plan is to create 40 acres of residential development in two ‘urban villages’, one on the already infilled part of Granton’s western harbour; the other in the eastern harbour of which almost half will be reclaimed. An industrial estate is established on reclaimed areas of the western harbour near the Port entrance. 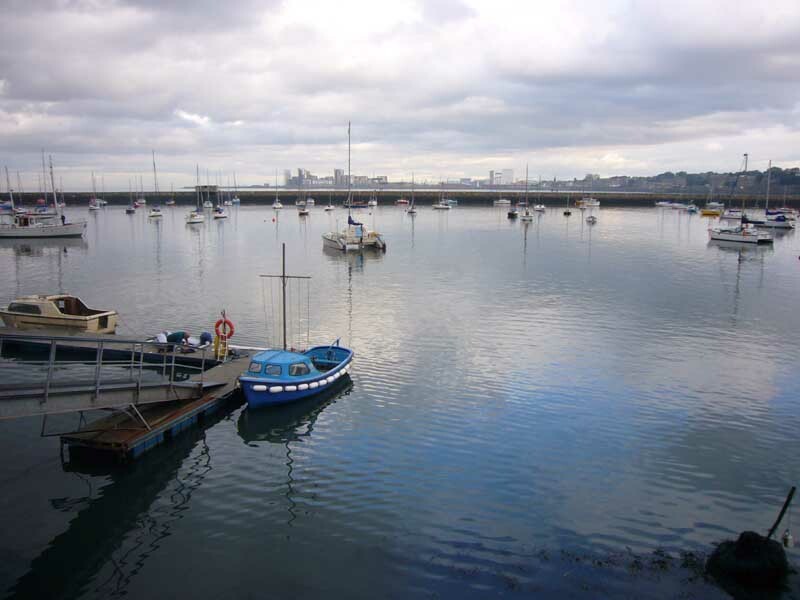 The western harbour referred to is part of Granton Harbour, not to be confused with Leith’s larger Western Harbour north of the Ocean Terminal. Cooper Cromar Architects are responsible for masterplanning the western harbour – proposing a high-density mixed urban development over 25ha of reclaimed land with an 8ha linear park. 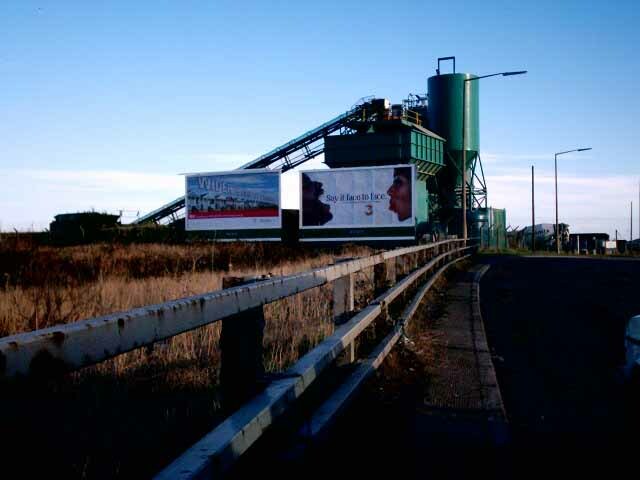 They are also directly involved in the “Gregor Shore Project” (above) residential development – part of Granton Harbour, located to the west of Newhaven. 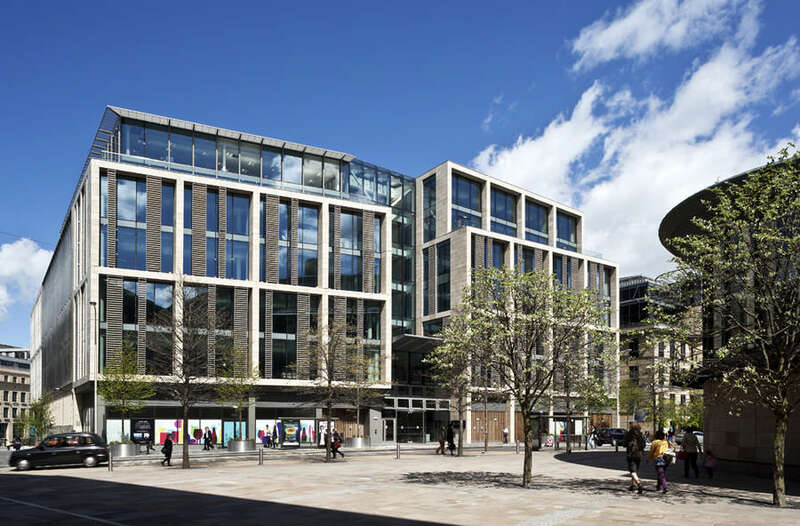 This comprises 295 units, varying from 5-11 storeys, with total underground car parking and 14,000 sq ft of commercial/retail space. 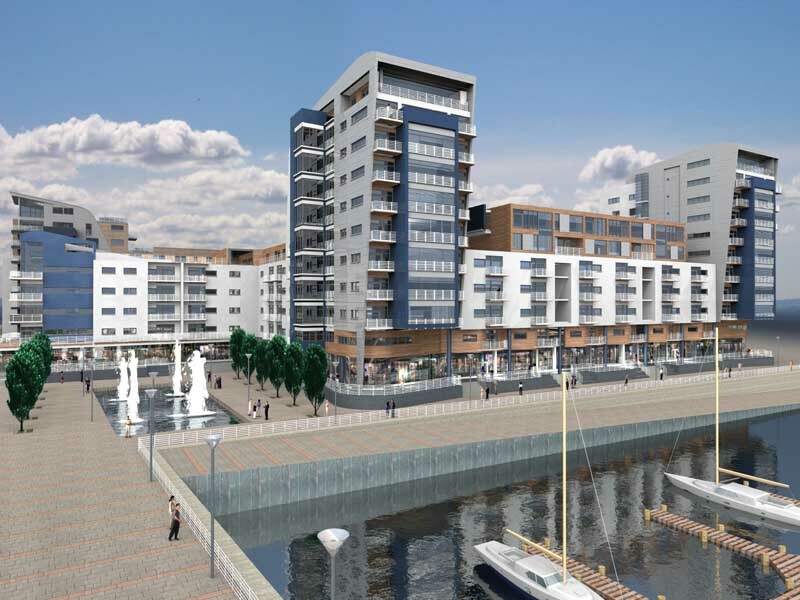 Also planned for Granton’s western harbour are a 630-berth Marina and 3400 flats to be built along the banks of a proposed canal network south of the harbour. The proposed network will be 1.5 m deep and approx. 1.6ha. About 4ha of the harbour is to be infilled around the planned marina. 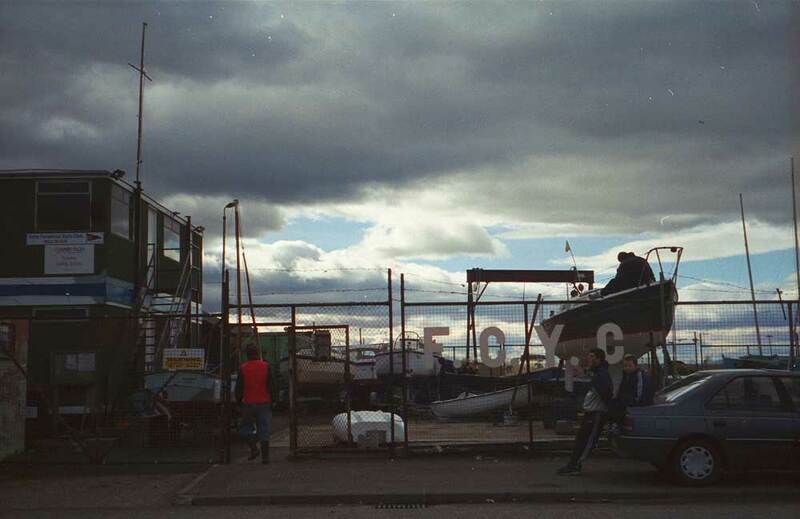 Further plans exist for the continued development of facilities available for the two Granton-based yacht clubs – Royal Forth Yacht Club & The Corinthian Yacht Club – who would also provide more pontoons and berthing for their members’ boats. Saltire Square and Waterfront Avenue. A bronze sculpture, “Going to the Beach” by Edinburgh sculptor Vincent Butler RSA, was unveiled at Saltire Square, the heart of the regeneration project at Granton Waterfront. The adjacent Waterfront Avenue connects West Granton Road with West Harbour Road. The Granton Waterfront First Phase opening ceremony to be held at Saltire Square, which is expected to feature musical entertainment by pupils from Edinburgh schools. The opening ceremony will be conducted by Lord Provost Lesley Hinds. 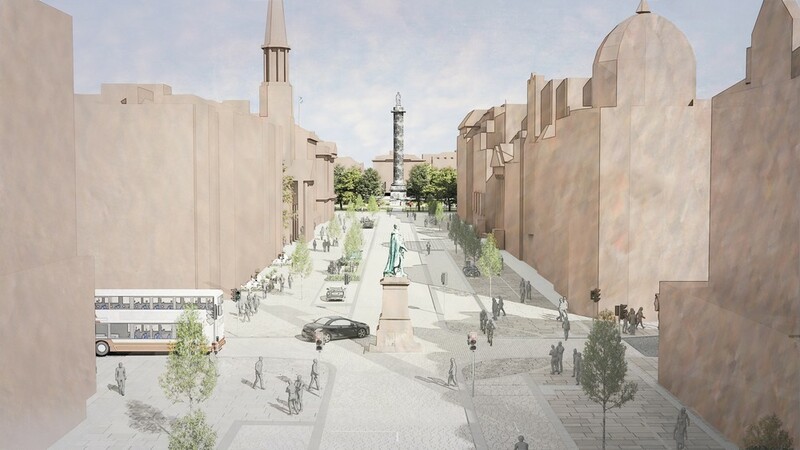 The completion of the road and Saltire Square opens up the site to the local community and will allow Waterfront Edinburgh Ltd to start work on residential and commercial developments. The Gregor Shore Project is part of Forth Ports plc’s plan to create 40 acres of residential development in two ‘urban villages’, one on the already infilled part of Granton’s Western Harbour; the other in the Eastern Harbour of which almost half will be reclaimed. Gregor Shore Project is located immediately west of Gregor Properties office on Middle Pier (unmarked road north from Granton Road roundabout). “Councillors in Edinburgh have rubber-stamped a further feasibility study to establish a temporary WTC in Edinburgh and draft a business plan to create a permanent WTC at the Granton Waterfront”. Granton Masterplan – Second Best? “The Granton masterplan is centred around a new marina, a landmark 14-storey office block and a three to four-star hotel. Almost 300,000sq ft of office floorspace along the Grand Canal and another 100,000sq ft of shopping, leisure and public space around the marina and canal edges will be built. But the RFACS criticised the plan and the height of some buildings on the edge of the development…Peter Wilson remained cynical about the changes. “They [Forth Ports] still lack the understanding that Edinburgh is a capital city, a city with continuous growth that deserves the best, not the third-best,” Mr Wilson said”. International architectural practice RMJM has just revealed designs for a tower building with a difference. The 25-storey “eco-tower” uses the latest technological advances in renewable energy, featuring two tower buildings joined together by 45 low-noise wind turbines. The turbines will use the prevailing winds to generate electricity and with the proposed orientation and location, will not only generate enough energy to supply the development, but will also produce enough surplus electricity to sell back to the national grid. 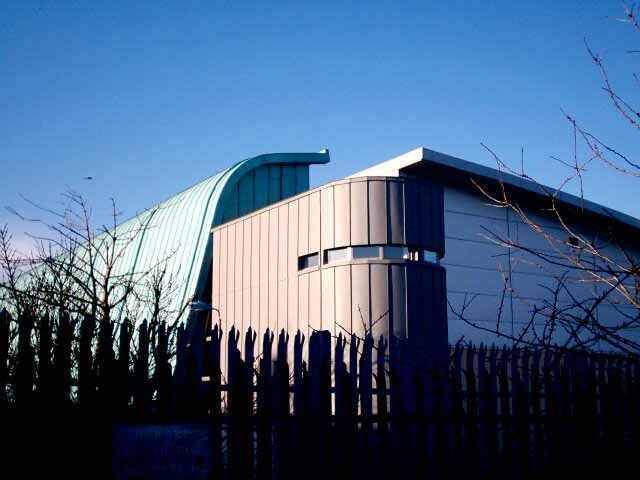 The design for this ground-breaking tower was developed in RMJM’s Edinburgh office for a brownfield site in the Granton area currently used as a scrap yard. Designed to accommodate residential apartments, the tower has also been conceived to minimise the problems of turbulence and overshadowing normally associated with a high rise developments. The 45 turbines are hung between the two elegant 85-metre high towers to create a huge but delicate moving screen, creating a very different landmark for the Edinburgh skyline. Energy consumption predictions explored for the development revealed that a single-small scale turbine, mounted 30 metres high, would produce enough electricity to meet the annual requirements for one apartment in the building. The turbines mounted above this height would produce even more electricity annually. As wind resources are not constant the towers would require a guaranteed supply and would therefore be connected to the grid. This would allow the excess production from the turbines to be exported to the grid, offering a source of revenue for the development. In addition to the cost advantages to residents, there are the significant environmental benefits that the scheme offers. For example, the wind turbine, mounted at 30 metres and which provides enough energy for the annual consumption of one apartment would reduce CO2 emissions by 1.954 tonnes per year (equivalent to that absorbed by 3 mature trees over the year or 135 trees for the whole development). RMJM is currently involved in several major waterfront projects, including the recently approved redevelopment of Leith Docks. RMJM drew up the masterplan for the 170-hectare dockland site, providing a blueprint for the creation of a mixed and balanced community which integrates the old and new and incorporates some of the most impressive regeneration standards ever set for a development of this size. 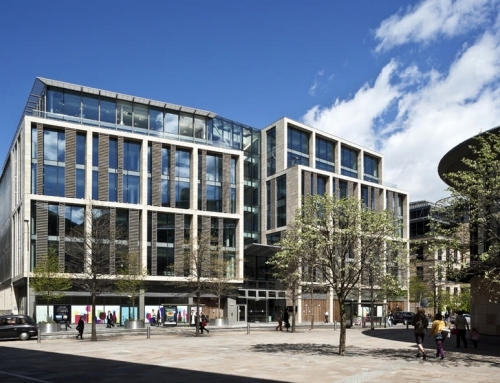 In Glasgow, two major residential developments designed by RMJM for the first phase of the Glasgow Harbour regeneration programme are nearing completion. 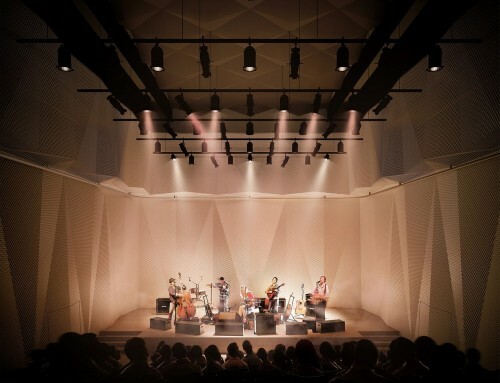 in the UK to integrate photovolatics into a naturally conditioned auditorium space. 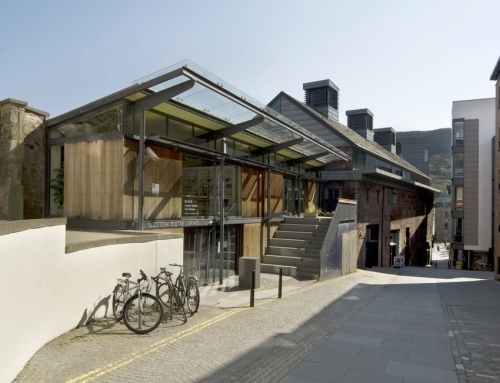 RMJM has more recently been commissioned by Lauder College to design its Centre for Sustainable Construction.